A Comprehensive Class I Network. 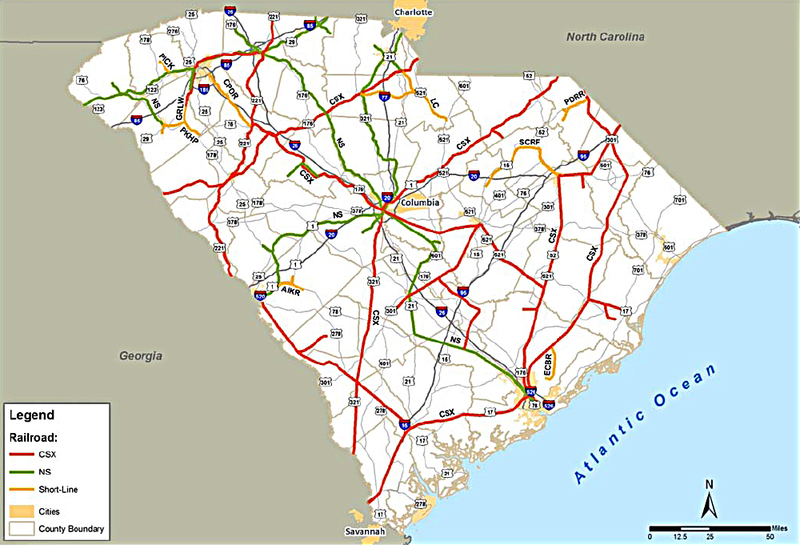 South Carolina’s expansive rail system includes two Class I railroads – CSX Transportation and Norfolk Southern – and eight independent lines to service over nearly 2,300 miles of rail. Palmetto Railways operates three common carrier railroads: The Port Utilities Commission of Charleston (PUCC), the Port Terminal Railroad (PTR) and the East Cooper and Berkeley Railroad (ECBR). These combined services allow nearly 45 million tons of freight to move through South Carolina each year.